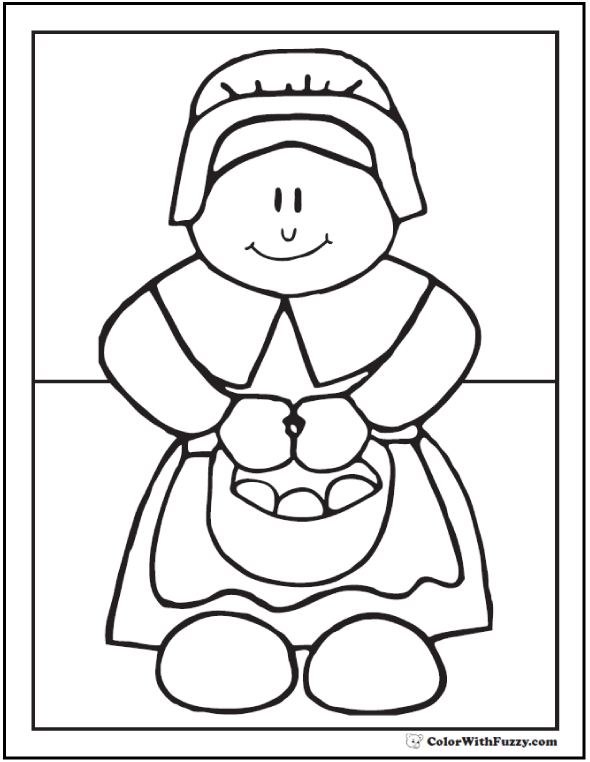 You'll like my darling pilgrim coloring picture that has a lady carrying a sweet basket. Is she carrying eggs or rolls? Your choice. It's a very nice Thanksgiving coloring page or history themed printable. Print the customizable PDF pilgrim coloring picture here.